$9.60 with the 20% Subscribe & Save discount or $0.80 per pouch (if you're an Amazon Mom member and you take delivery of 5 subscriptions in one month. You don't need to be an actual mother to be a member.) This price is good only on Subscribe & Save deliveries prior to 11/12/14. Amazon has the Le Creuset 6 oz. 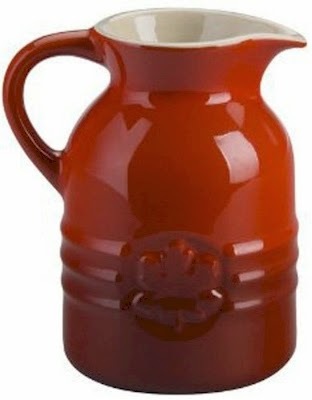 syrup jar in cherry red for $12.95 with free Prime/SuperSaver shipping. Large ergonomic handles for improved handling. Nonporous glass won't absorb stains or odors. Reusable glass lasts longer than disposable plastic and foil. 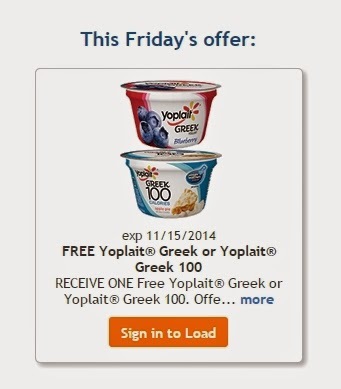 Kroger affiliate shoppers, go to FreeFridayDownload.com and log in to load a digital coupon for a free Yoplait Greek or Yoplait Greek 100 yogurt (5.3 oz.). The digital coupon must be loaded on your card today, 10/31/14, but you have until 11/15/14 to redeem it. Bring theYoplait Greek or Greek 100 Yogurt up to the checkout and make sure the cashier scans your shopper's loyalty card. The price of the yogurt should drop off at the register. I do love a great freebie. Make sure you download the coupon today. Kosher-keeping Daily Cheapskate readers: Yoplait Greek yogurt came under OK Laboratories kosher supervision about a year ago. Chalav Stam. I hope you LEGO fans didn't miss the four LEGO sets under $5.00 back here (all of those deals are still available!). At Daily Cheapskate's readers' request for more of these low-price LEGO roundups, I put together another grouping of six LEGO sets between $6.97 and $8.97 on Amazon. 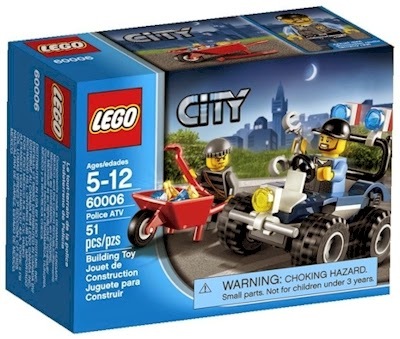 LEGO City Police ATV (model #60006), $6.97 with free Prime/SuperSaver shipping. 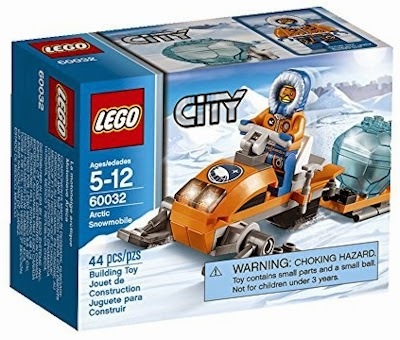 LEGO City Arctic Snowmobile Building Toy (model #60032), $6.97 with free Prime/SuperSaver shipping. LEGO Castle Forest Ambush (model #6024762), $7.99 with free Prime/SuperSaverShipping. 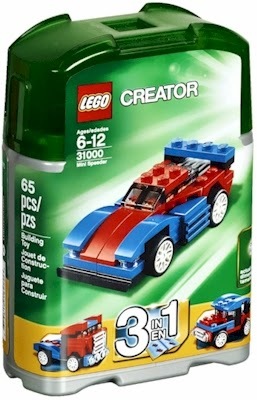 LEGO Creator Mini Speeder (model #31000), for $7.99 with fre shipping (no Prime account required). 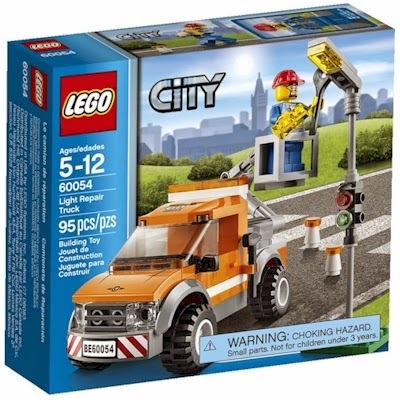 LEGO City Great Vehicles Light Repair Truck (model #60054 ), $8.24 with free Prime/SuperSaver shipping. 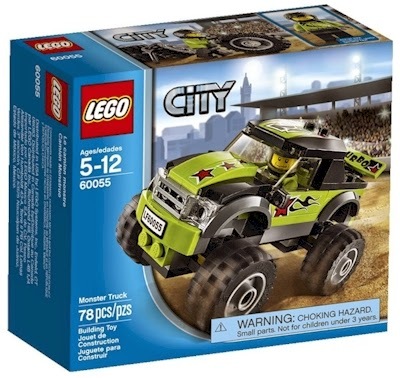 LEGO City Great Vehicles Monster Truck (model #60055), $8.97 with free Prime/SuperSaver shipping. Print your coupon for $1.00 off any two Mott's sauce or Mott's juice. Today, 10/31/14 only, get one year of Fit Pregnancy magazine for $7.99 (for 6 issues) when you click here and enter promo code DAILYCHEAPSKATE at checkout. You can lock in the $7.99 price for only one year. The newsstand cover price on Fit Pregnancy is $4.95, so this pretty much pays for itself by the time you receive the second issue! This discount can be applied to new subscriptions, gift subscriptions, and renewals, and there is NEVER any auto-renewal with DiscountMags. About Fit Pregnancy magazine: Fit Pregnancy magazine is edited for expectant mothers. A magazine subscription to Fit Pregnancy will provide its readers with information and tips on eating right, exercising properly, and maintaining good health during and post pregnancy. It also feature articles on new products, maternity fashions and what to expect. 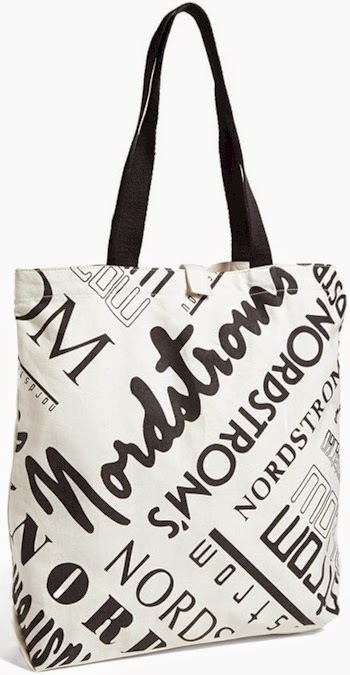 Nordstrom has their signature cotton graphic Heritage Tote in two different styles on sale for just $8.98 with free shipping and free returns. The one pictured above can be found here for $8.98 shipped. And this one can be found here, also for $8.98 shipped. Got an iPhone6? Have a Wells Fargo credit, debit or pre-paid card? 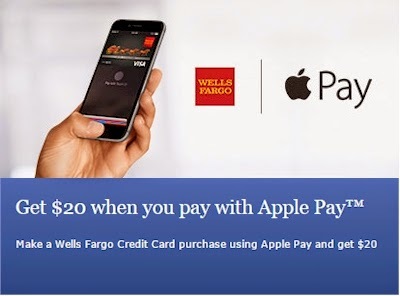 Use your iPhone 6 to make an Apple Pay purchase with your Wells Fargo credit card by 11/30/14 and you will receive a $20 statement credit on that card. Details here. Use your iPhone 6 to make an Apple Pay purchase with your Wells Fargo debit or pre-paid Card by 11/30/14, and you’ll receive a $10 statement credit on that card. Details here. Amazon has two nice deals on LEGO activity books, and each one comes with a free LEGO mini figurine. 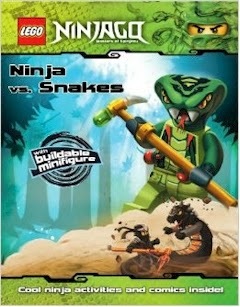 LEGO Ninjago: Ninja Vs. Snakes - includes a snake Minifigure, $3.68 with free Prime/SuperSaver shipping. 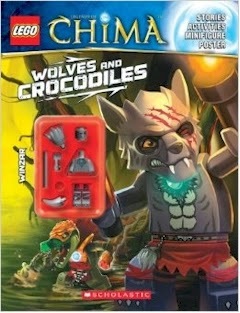 LEGO Legends of Chima: Wolves and Crocodiles (Activity Book #2) - includes buildable Minifigure, $3.23 with free Prime/SuperSaver shipping. These books are both temporarily out of stock, but you can buy them now and lock in the price and they will ship the books and mini figurines as soon as they restock. 16.9 ounce bottle of flavorful, light-colored, toasted sesame oil. Production begins with sesame seeds harvested from South America or Africa. 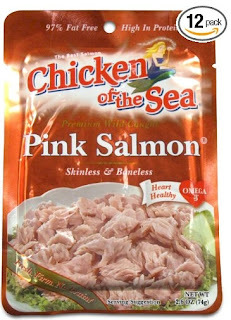 Balanced source of omega 6 and omega 9, the best mono-unsaturated fat. Hand roasted in cast iron kettles before being expeller pressed, then filtered and bottled. Crafted in central Japan strictly following 270-year-old traditional methods. Amazon has got La Tourangelle Toasted Sesame Oil, 16.9 oz/500 ml on Subscribe & Save, for as low as $7.19 with free shipping. 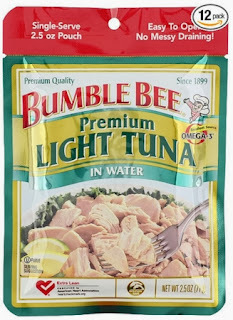 $7.19 ($0.42 per oz.) with the Subscribe & Save 20% discount (if you're an Amazon Mom member and you take delivery of 5 subscriptions in one month. You don't need to be an actual mother to be an Amazon Mom member.) Please note that this discount is only available for Subscribe & Save deliveries through 11/11/14. $7.64 ($0.45 per oz.) with the Subscribe & Save 15% discount (if you can take delivery of 5 or more active subscriptions in one month) . $8.54 ($0.50 per oz.) with the standard Subscribe & Save 5% discount. 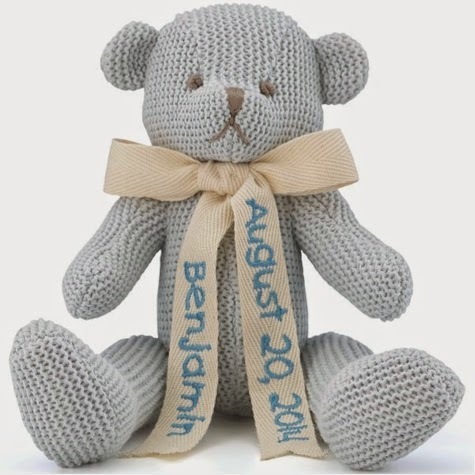 Personalized 100% cotton bear, monkey or elephant, from $9.95 with free shipping on Lenox.com, today only! The gift possibilities are endless. Wow! Lenox.com is running a free shipping (no minimum purchase) promotion today only, along with price drops on these 100% cotton knit stuffed animals, from $9.95 to $12.95 shipped! 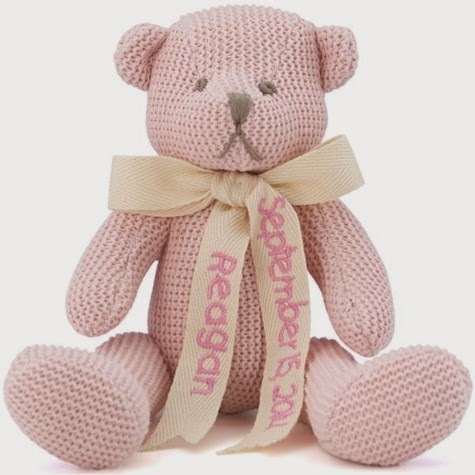 You can use these as beautiful Lenox baby gifts and personalize it with the baby's name and birth date, OR put any message at all on the ribbon and use it for a more general gift. I have a friend who bought the elephant and put "Elephants remember" on one side and her anniversary date on the other side of the ribbon. You can also put "Happy Chanukah!" or "Happy Birthday!" or "I love you!" or any message at all, as long as it's 18 characters or less. The gift possibilities are endless and the prices and free shipping are awesome. This blue Lenox Lovie Bear, 100% cotton 10" stuffed animal is only $9.95 with free shipping (including personalization), today only. The pink version Lenox Happy Bear, 100% cotton 10" stuffed animal is also only $9.95 with free shipping (including personalization), today only. 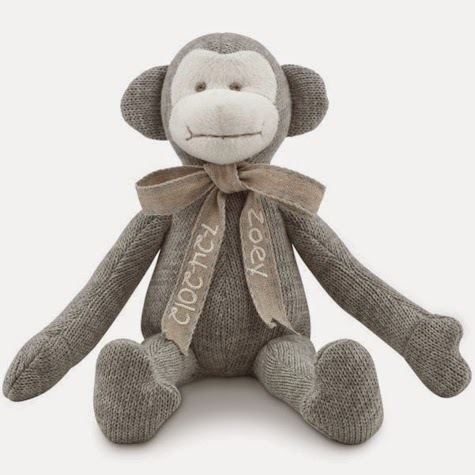 This Lenox Silly Monkey, 100% cotton 11" stuffed animal is only $10.95 with free shipping (including personalization), today only. You can select pink, blue, red or green for your color choice of embroidery thread. 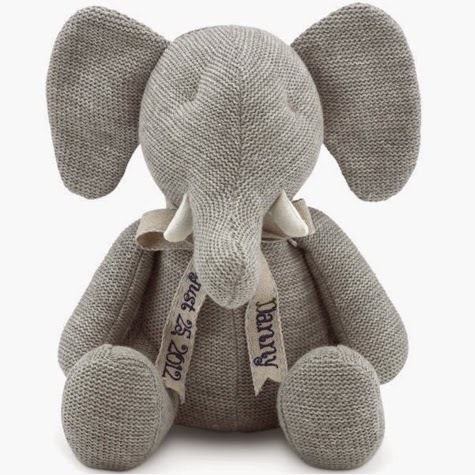 This Lenox Lucky Elephant, 100% cotton 9.5" stuffed animal is only $12.95 with free shipping (including personalization), today only. You can select pink, blue, red or green for your color choice of embroidery thread. Got a die-hard LEGO fan? 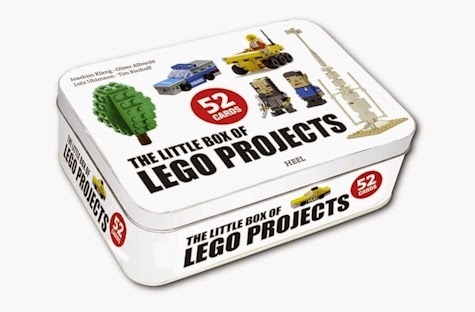 The Little Box of LEGO Projects is a metal box containing 52 cards covering 16 LEGO projects to build with the bricks you have at home. Amazon has got this 3-pack of 3M Scotch Brite Stainless Steel Scouring Pads for $1.94. It's an Amazon Add-On item, which means that it ships for free with a $25 minimum order if you are an Amazon Prime member (and its price of $1.94 counts towards that $25), or it ships for free with a $35 minimum order if you're not a Prime member. 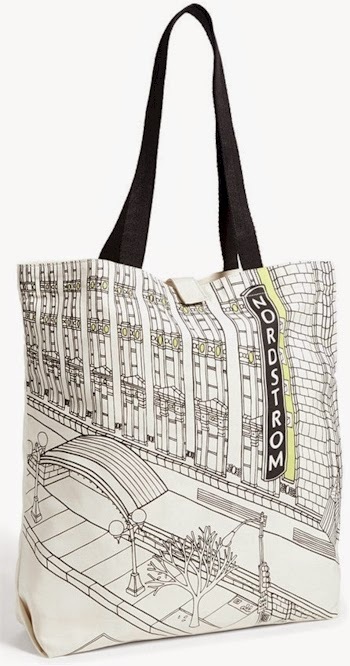 Thanks so much to Daily Cheapskate reader Laurie S.C. for alerting me to this deal! 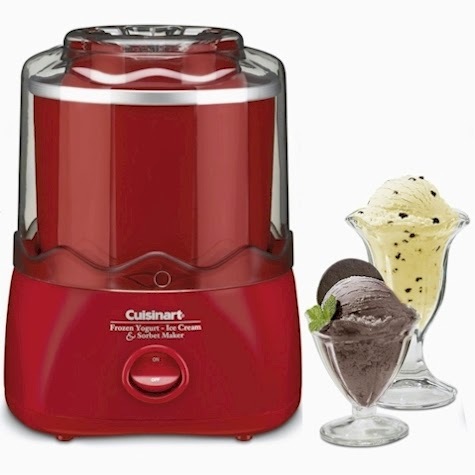 Amazon has got the Cuisinart Ice Cream maker (model #ICE21) for $49.41 for the white model and $49.95 for the red model, both with free Prime/SuperSaver shipping. 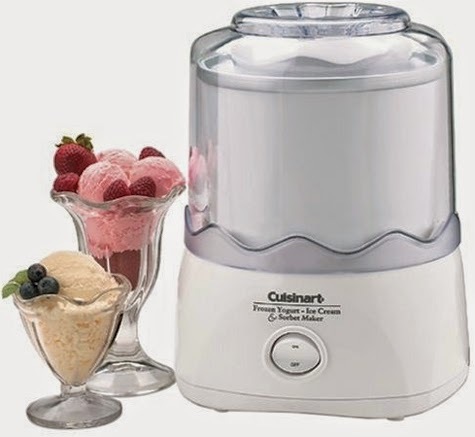 This ice cream maker got 4.6 out of 5 stars over 2,118 customer reviews. New mixing paddle makes frozen desserts and drinks in 20 minutes or less. Large capacity makes up to 1-1/2-quarts. Double insulated freezer bowl eliminates the need for ice. Easy lock transparent lid with large spout makes adding ingredients simple and mess free. 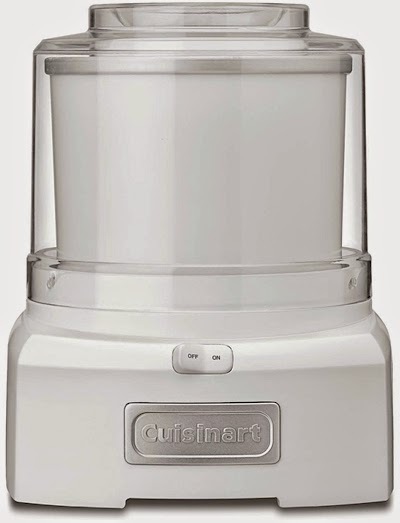 Fully automatic with large ingredient spout for adding ingredients. 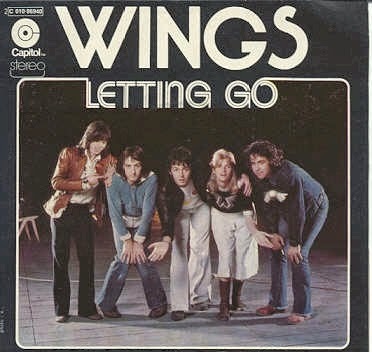 Download you free MP3 remaster of Letting Go from Paul McCartney's Wings 1975 Venus and Mars album. The promo code works sitewide, including sales & clearance items, accessories and Frozen items. I just picked up a few pairs of black winter tights with this promo code. 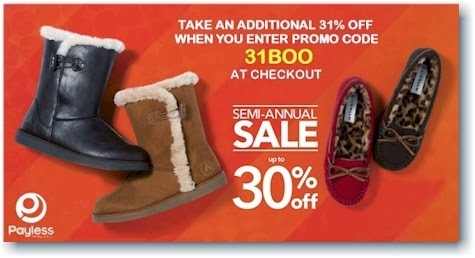 Shipping is free on orders of $35.00 or more or better yet, select free ship-to-store (Payless stores are EVERYWHERE). If the link was not working for you before, my apologies. It should work now. Do you shop at a Kroger affiliate store, like King Soopers, Bakers, Ralph's, Dillons, Fry's etc.? Click over here, select your store, and log in to your shopper's loyalty card account. 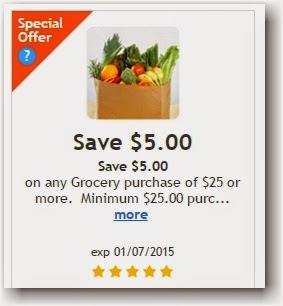 You'll see a digital coupon for $5.00 of your $25.00 grocery purchase. Enter the code "DIGITAL" and then load it on to your shopper's loyalty card. 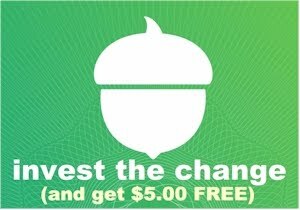 The next time you make a $25.00 purchase at that Kroger's affiliate store and scan your card, $5.00 will come off your final amount. You have until 1/7/15 to use this digital coupon. If you have a shopper's loyalty card for a Kroger's affiliate store but haven't registered it online yet, it's very easy to do so; just go to your store's website, create an account and enter the number found on your loyalty card. It's a really smart thing to do so that you can take advantage of offers like this. Print your coupon for $1.00 of any four Uncle Ben's brand rice products. 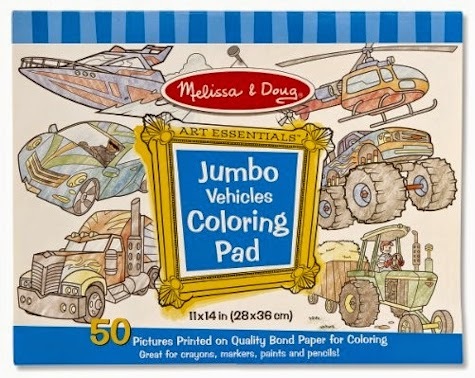 Amazon has the Melissa & Doug Jumbo Vehicles Coloring Pad for $4.99. It's an Amazon Add-On item, which means that it ships for free with a $25 minimum order if you are an Amazon Prime member (and its price of $4.99 counts towards that $25), or it ships for free with a $35 minimum order if you're not a Prime member. Includes 50 high-quality pages of premium white bond paper. Oversized 11" x 14" sheets leave lots of room for creative fun. 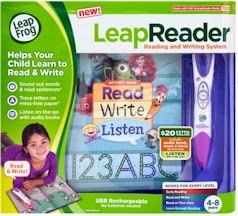 Amazon has got a great deal on LeapReaders: buy a LeapReader and $5.00 off AND a free select LeapRead Book or FlashCard. 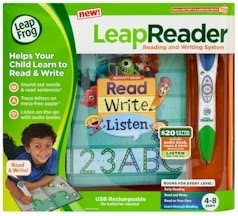 What this comes down to is that you can get a LeapReader and a set of 6 LeapRead books for only $31.99 with free Prime/SuperSaver shipping. 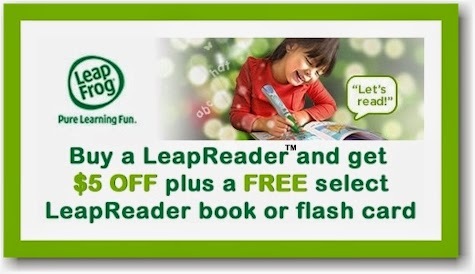 Just add one LeapReader (green or pink) and one of the four LeapRead book or flashcard sets to your cart at the same time and you should see a $5.00 discount and the cost of the book/flashcard for free. No promo code necessary. CrazyAwesome deal. You're basically getting a LeapReader system and a set of 6 books for as low as $32 shipped, which beats all the other store's prices by a mile. Today, 10/30/14, from 9:00 a.m. to 1:00 p.m. EST, get a whopping 40% off every magazine subscription on DiscountMags when you enter promo code OCT40 at checkout. In the market for a touchscreen laptop that's loaded with memory and hard drive, but on a budget price? 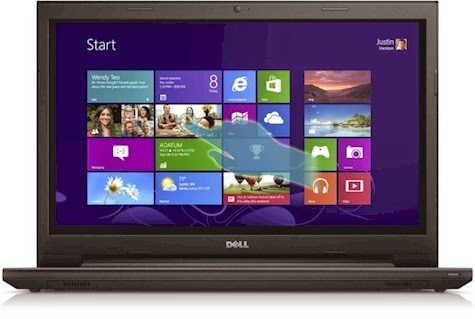 Once again, Amazon has dropped the price on this Dell Inspiron 15.6 Touchscreen Laptop to only $399.99 with free shipping. I can't believe how low this price is; it was just a short time ago that touchscreen technology was completely cost-prohibitive. This full service laptop is cheaper than an iPad. 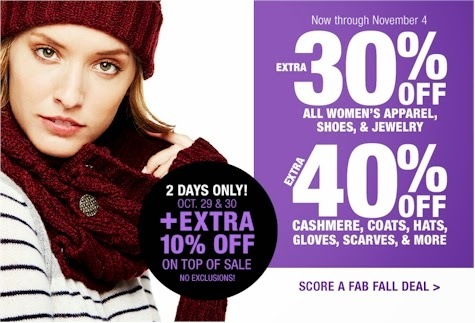 Take an extra 30%-40% off women's apparel, shoes, jewelry, coats and accessories at Neiman Marcus Last Call, two days only, today and tomorrow, 10/29-10/30/14. 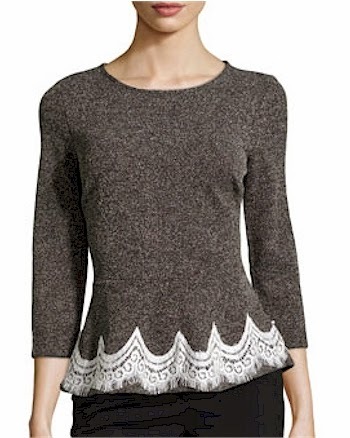 This long-sleeved tweed and lace sweater is only $30.87 (originally $49.00) after the discount. Tons of bargains abound on this sale, but popular sizes are selling out very quickly. If you're a fan of higher-end designer clothing and accessories, this is an excellent opportunity for you to score some great deals. This has got to be the cutest KidKraft set yet. 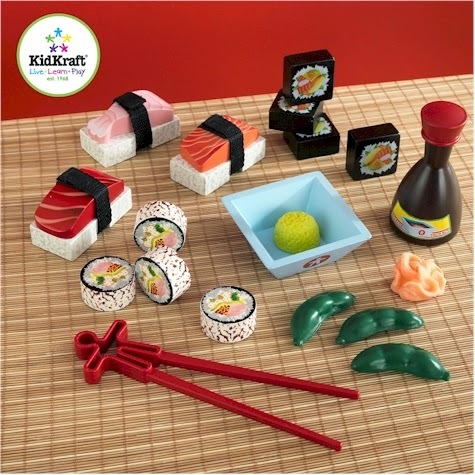 Amazon has just dropped the price on the new KidKraft Sushi Dinner set from $22.99 to $17.99 with free Prime/SuperSaver shipping. 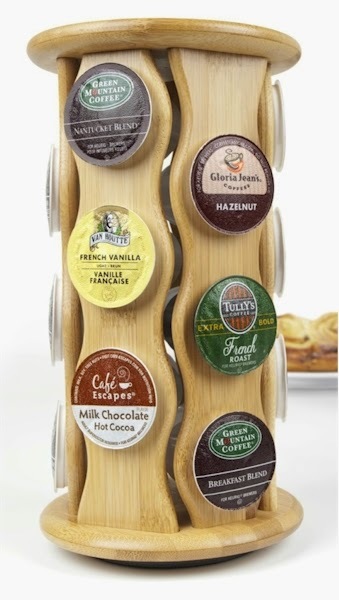 Amazon has got this Bamboo Carousel K-Cup Holder (holds 18 k-cups) for $10.66 with free Prime/SuperSaver shipping, It received 4.7 out of 5 stars over 44 customer reviews. 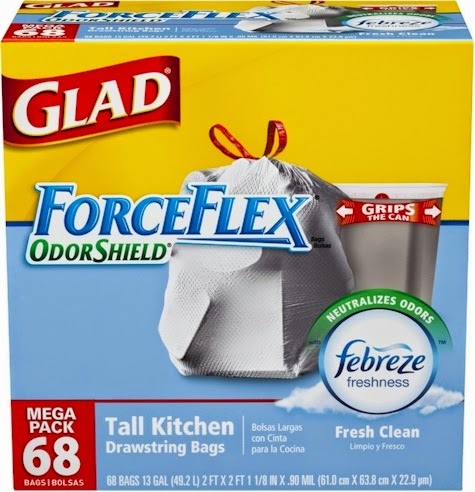 I posted this Subscribe & Save deal on a 68-count box of Glad ForceFlex Odor Shield Tall Kitchen Drawstring Bags about a week and a half ago, but it just got a whole lot sweeter with the addition of a 10% off coupon. Remember that in Subscribe & Save deal, the coupons are always calculated off the original un-discounted price, which is great news for us. In this case, the 10% coupon comes off the original price of $11.33, so you'll get a flat coupon of $1.13, no matter which Subscribe & Save discount you are able to use. Make sure you "clip" the coupon before you buy this. $9.06 - $1.13 = $7.93 or 12 cents per bag with the Subscribe & Save 20% discount (if you're an Amazon Mom member and you take delivery of 5 subscriptions in one month. You don't need to be an actual mother to be an Amazon Mom member.) Please note, this discount is good on deliveries through 11/11/14 only. 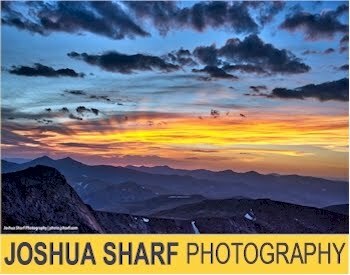 $9.63 - $1.13 = $8.50 or 13 cents per bag with the Subscribe & Save 15% discount (if you can take delivery of 5 or more active subscriptions in one month) . $10.76 - $1.13 = $9.63 or 14 cents per bag with the standard Subscribe & Save 5% discount. 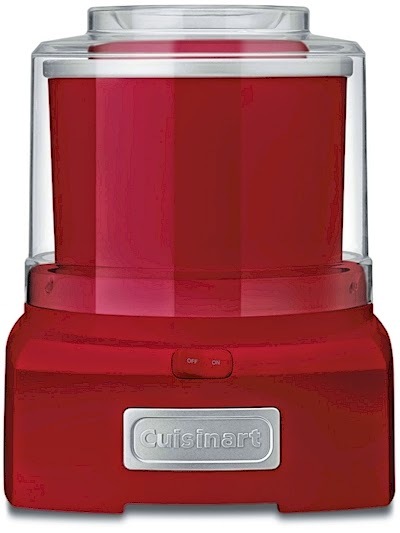 Amazon has got the Cuisinart 1-1/2-Quart Automatic Ice Cream, Frozen Yogurt & Sorbet Maker (model #ICE-20) in red or white, for $53.00 with free shipping (no Prime account required), It got 4.4 out of 5 stars over 1,370 customer reviews. 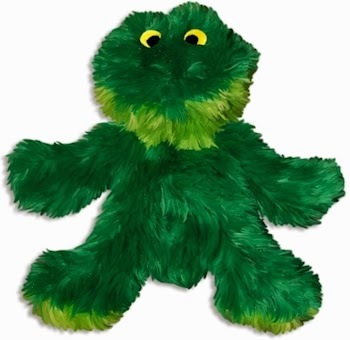 Dog owners, Amazon has the Kong Dr. Noy's Sitting Frog Plush Dog Toy for $2.19. It's an Amazon Add-On item, which means that it ships for free with a $25 minimum order if you are an Amazon Prime member (and its price of $2.19 of counts towards that $25), or it ships for free with a $35 minimum order if you're not a Prime member. We've had three dogs throughout our marriage, and all I can tell you is that Kong makes THE highest dog toys. This one even comes with an extra squeaker for when your dog destroys the current one (been there, done that). Kong toys are usually on the more expensive side, but I just happen to stumble across this one at a great price. No messy stuffing to litter your house. Inner pouch for extended squeaker life. Removable squeaker for easy washing. Quality, non-toxic materials for your peace of mind.